Palm OS has been drawing back under the pressure of Windows Mobile in the world of traditional handhelds. The powerful marketing machine of Microsoft reinforced with constant OS improvements and aggressive pricing just gives no chance for PalmSource to win in this market segment. But that's no reason to give up and quit this business. It's better to create a new segment and snap off a significant piece of a pie. Psion was the first to understand this truth, who to all appearances had less financial capital (compared to Palm and Microsoft). The result — in the form of Symbian — is striking. Symbian communicator sales volume exceeds the total volume of Palm OS and Windows Mobile sales. palmOne joined in a tad later — after the merger with Handspring. The launch of Treo 600 in Autumn 2003 (extremely successful in the USA) had a great influence on palmOne. The traditional handheld branches paled into insignificance. The launch of Tungsten T5 (weak for these days) confirmed that the main resources are allocated to the production of communicators. Results came pat. 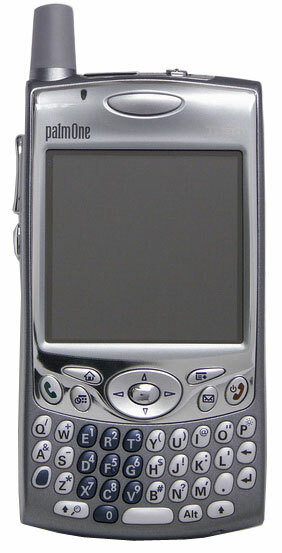 In 2004 palmOne launched an improved version of the communicator called Treo 650. The first samples were intended only for the large Sprint network. The device supported CDMA 2000 1xRTT, 800/1900 MHz. That new model was a howling success in the USA. Many reviewers called Treo 650 the best smartphone of its time. There soon appeared a GSM modification of this communicator. Only this model is of current importance in Russia. Meet the hero of our today's review: palmOne Treo 650.
palmOne calls Treo devices smart phones. Reviewers call them communicators. In our turn, we want to note that Treo 650 is essentially a handheld with an additional long-range radio interface. You can find more details about such a solution here. Each handheld offers its own set of characteristics. It's high time we should pay attention to the Treo 650 specifications. Intel XScale PXA270 processor (312MHz). First of all, a communicator is expected to have a long battery life. The junior PXA270 version allows to obtain it. Considering that its capacity is more than enough for the most tasks, palmOne has made a good choice. 32MB of RAM, 22MB of which are available to a user (23MB in a version without multilanguage support). Like in Tungsten T5, all the memory is nonvolatile. Palm OS fans may chant all they want about the small size of executables, but 22MB is not enough even to install the gentlemanly set of programs. To compensate for this drawback, palmOne has promised to ship a 128MB SD card to any owner of the device free of charge. 320x320 transflective color touch screen (65536 colors), diagonal — 2.5". The characteristic feature of Palm OS devices — a square display — pertains to Treo 650 as well. Wireless interface Bluetooth. It's strange that such an expensive communicator does not support 802.11. Moreover, the official sources declare that Treo 650 is incompatible with SDio WiFi cards. In less official sources you can find modified drivers, with which you can use the above mentioned card in your communicator. But there are side effects, like being impossible to access the network via cellular communication channels. Besides, the SD slot is usually occupied by a memory card. Another original solution, resembling ancient iPaq jackets, was brought forward by Enfora. SDio slot for memory cards and external devices. It will not be empty for a long time — a memory card is needed, if you intend working with your communicator. Infrared port (SIR). CIR specification is not supported. 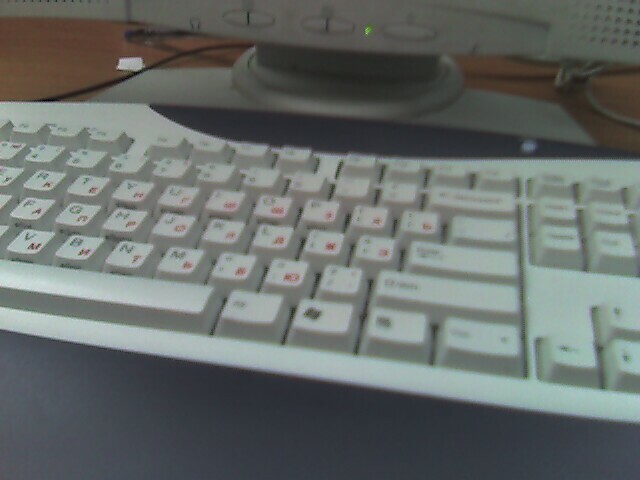 Physical QWERTY keyboard (35 keys). The standard set of controls — a 4-way joystick, four application buttons, two phone keys. Removable 1800 mAh Li-Pol battery. Such a large capacity is imposing! Especially if you remember the economical processor, the memory that shouldn't be refreshed, and the small display. Its dimensions are 113x59x23 mm. Several years ago regular GSM handsets used to be larger. The communicator weighs 178 g with a battery. It's lighter than some high-end handhelds and it's again comparable with 5-year old GSM handsets. Camera that can take photos of up to 640x480 (VGA). Considering the quality of photos, you cannot call this camera a significant asset. Built-in vibra alert and an additional loudspeaker for handsfree. Palm OS 5.4 Garnet. Use-proven, reliable OS with minimum changes to support the long-range communications. Our sample supported GSM 850/900/1800/1900, GPRS (Class B, multislot class 10) and EDGE. 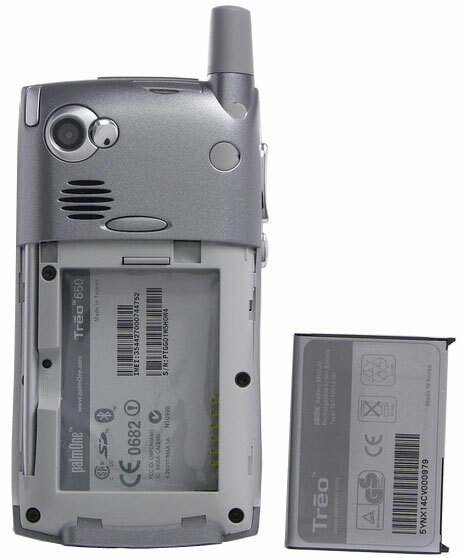 Treo 650 had been initially designed for CDMA 2000 1xRTT 800/1900, including the gpsOne support. Treo 650 comes shipped to Russia with a moderate bundle: the communicator, a battery, hands-free (mono), charger with adapters for various mains standards, documentation, and CDs with software. The bundle does not include a case and an audio adapter to the 3.5" jack. The former can be bought on any market for handset accessories (cases from Sony Ericsson communicators and some Nokia models will do). What concerns the audio adapter, you'll have to go to a radio market. The handset nature of Treo 650 influenced much its design. The exterior of the device makes it clear that it supports one of the mobile communications standards. An antenna on top makes for an excellent sign. Some mobile users believe that an external "stub" of an antenna provides for a better sound quality. Treo 650 will make them happy with this attribute. I must confess that I was very upset by this design inconsistency at first. Soft curves of the housing in the form of a symmetric soap-box look much better. But in a couple of days I wanted to thank palmOne for this atavism: it's much more convenient to take the device out of your pocket or from a case, when you pull it by this very "stub". The housing is made of plastic. Good, high-quality, solid. Not a single scratch appeared on the communicator for the two weeks I tested it. This device is narrower than a regular handheld, so it's more convenient to hold it in one hand. You'll have no problems with pressing its buttons when you hold it like this. Treo 650 feels like a handset in your palm. It's just as convenient to use. Unlike a handheld, where you need both hands to perform most tasks, one hand is enough to manage a communicator with a keyboard. Of course, this design has some drawbacks as well, we'll touch upon them below, in the display section. Access to the battery bay is blocked by a special button. You'll need to remove the cover not only to replace the battery, but to soft reset the device as well. We should do justice to the device, after we stopped toying with the set of installed programs, we didn't need this button — this OS is very stable. The assemblage quality is up to the mark; no backlashes, flexing, and creaking. A well thought-out design is like a business card of Palm, Inc. and its palmOne reincarnation. There is a camera with a self-portrait mirror and a system speaker over the battery cover. There is a hole for an external antenna, sealed with a rubber plug below the stud of antenna. The left side houses volume control buttons (ring/voice during calls) and the OK button. The system does not allow to remap them, but there are third-party utilities. For example, a free VolumeRocker. The right side is empty. The mic hole and a multi-connector for data synchronization and battery charging are on the bottom. The hands-free connector is located next to them. The 2.5" jack is gradually becoming a standard among handheld and communicator manufacturers. Unfortunately, Treo 650 is equipped with such a jack. The bundle does not include an adapter, headphones manufacturers ignore the miniaturization tendency. The top area is used to the maximum. It houses a SIM card slot and a SDio slot, IrDA port, a stylus bay, and a very convenient rod to mute sound! palmOne deserves an inter vivos memorial for this improvement alone. I have never met anything more convenient before. The current mode is displayed even when the display is turned off (ring/vibra). The rod is rather tight, it won't turn when you touch it accidentally. A three-color LED on the front panel indicates the current status of the device. It lights red when the battery is being charged from the mains (charging from USB has no effect on the LED color, though it charges the battery as well). Green blinking traditionally indicates registering in the mobile network, red blinking — low battery level. The LED blinks orange when the phone is on but not registered in the network. The speaker above the display is active only during calls, no handsfree. Users with thick fingers may have problems with the standard QWERTY keyboard. At first, you have to get used to the small size and narrow spaces between the buttons. It took me a week. The result surpasses all expectations: the number of characters typed per minute exceeds a hundred. SMS and IM fans will be enraptured by this device! Typing English texts is very fast. Typing messages in Russian is much more problematic. Firstly, the buttons have no Russian labels, they are too small to accommodate any. The problem will be resolved by drawing the lettering in between the buttons. Secondly, the Russian alphabet is larger than the English by seven letters. It's impossible to provide all the letters, even if punctuation marks are remapped. Developers of the official PiLoc localization decided to sacrifice "ù" and "á". I agree that the former letter is rather rare. But why get rid of "á"? In my personal opinion, "ú" is much less necessary on the keyboard. These symbols have to be typed via Alt. You'll get used to it easily. We should make a separate note of good keyboard backlight. It does not blind you in the dark. Three columns of digit buttons are not backlit, but that's no problem. The 4-way joystick under the display is not convenient to use in arcades because of its location. Your fingers will constantly touch the other buttons. After you remap the controls and get some experience, you may get good results in the bundled Zap!2016, but periodic button misses will shatter your nerves. 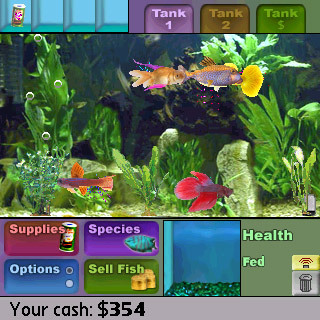 You'd better play something calmer, for example, Fish Tycoon. Treo 650 lacks the power button in its usual form. It uses the decline button instead. Press and hold it to turn on the phone module. A short press on this button will control the display. The keyboard backlight is controlled from the keyboard (Option + P, Option + UP). The metal stylus with a plastic tip feels comfortable in your hand. You may do without this accessory at all due to the built-in keyboard. palmOne designers deserve the highest praise with the thought-out ergonomics and high-quality assemblage of Treo 650. The battery bay houses a capacious 1800 mAh Li-Pol battery. The economic processor, nonvolatile memory, and small display are the other three victorious components of Treo 650 in the battle for a longer battery life. palmOne promises up to 6 hours of calls. Or 300 hours of operation in idle mode. It goes without saying that you cannot possibly expect such figures. In the regular usage mode (20-25 minutes of calls a day, PIM, games, reading, short GPRS sessions) this device lives three days. If you are an active user (over two hours of reading, web surfing via GPRS, and games), you'll have to charge the communicator once in two days. What a miracle, the "always online" mode has become available! The battery lives the entire day with a running IM client (over 12 hours). You can connect to mains at nights. It will take almost three hours to charge the device from 0% to 100% battery. The battery is charged to 80% for 45-50 minutes. We didn't wait till the end of the charge process via USB. The level would grow from 40% to 70% during the day with operating Bluetooth and Mobile communications modules. Other modes demonstrates no lesser records. Almost 17 hours of mp3 playback from an SD card, nearly 4 hours of video playback, 9 hours of reading — Treo 650 is really good! Treo 650 demonstrates an excellent example of a transflective display. Display resolution is 320x320, it supports 16bit colors. Image sharpness is excellent, Treo 650 is on a par with VGA PocketPC devices by this parameter. The backlight brightness range is very large. It's comfortable to read in the dark even not at the lowest brightness level. Maximum brightness may light a large room. The display looks pale in the sun, but the letters are still legible. The truly white color of the display was especially striking. If you put together Tungsten T3, Acer n30 and palmOne Treo 650, displays of the first two devices will demonstrate a distinct yellow tint. Moreover, even Dell X50v cannot boast of such a white color! The display quality is up to the mark. Alas, there is no such thing as perfection: when you look at the display of Treo 650 you remember the words "tasty, but too little". The diagonal of this electronic miracle is just 2.5". Displays of such dimensions look more appropriate in handsets. Handhelds usually spoil users with displays of 3.5" and higher. 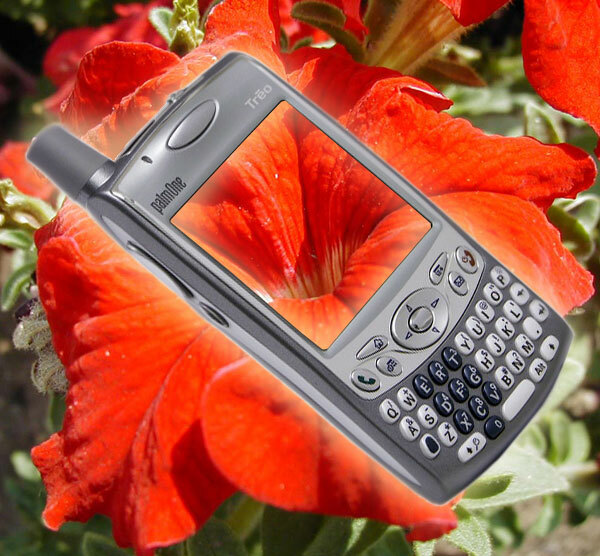 There is simply no point in accommodating a larger display on the front panel of Treo 650. It's impossible to increase the display size without changing the form factor and the consequences. As in the well-known proverb — "you can have a tasty, fast, and inexpensive meal — choose only two options". palmOne designers decided to sacrifice the screen dimensions. They didn't save on its resolution though. 2.5" display in Treo 650 outputs more information than, for example, 3.5" qVGA displays in many PocketPC models. A small size will be a problem when you watch videos, browse photos and electronic maps, where many details will be too small to see. That's not much of a sacrifice for such usability! Sensitivity of the touch screen is below average. It means that you should buy a screen protector together with the communicator. Otherwise, you may accidentally scratch the display with a stylus. Besides, you will be able to carry it safely in a pocket. Treo 650 has two loudspeakers for your convenience. One of them is on the rear panel, it's used for the handsfree mode and to sound system events. Of course, it can be used for music playback, but the high audio quality is out of the question. The second speaker is above the display, it's used only during phone calls. The audio connector for hands-free is on the bottom of the communicator. There is no adapter to a standard 3.5" jack in the bundle, so if you want to listen to music, make sure you buy it. The bundled headset is no good for it. It renders voices well, but it does not manage a wider frequency band. The built-in microphone copes with its responsibilities well. Interestingly, the standard bundle lacks a utility to record voice memos. The problem can be easily solved by the VoiceMemon program. The mic sensitivity is enough to record a closely-located source. In more complex cases you'd better use an external microphone, which can be connected via the non-standard audio connector. The sound volume in headphones is enough in most cases. The volume was not enough only in the noisy Moscow Metro, the regular inlays did not insulate sound well. There were no artifacts (overloading, clipping) at the maximum sound volume. Subjectively, Treo 650 lacks low frequencies. In other respects, the audio playback quality is acceptable. Excellent battery life in the mp3 player mode allows to give up a separate player and use the communicator instead. This reunion has a bonus — extremely low chances to miss an important call when you listen to music. An indispensable accessory of expensive models — built-in camera — is installed into Treo 650 as well. You cannot apply the word "quality" to this camera. What's important is that the communicator is equipped with it. This camera is a nice bonus is most cases. Quickly take a photo of a contact, capture a funny moment or copy a dozen of text lines — that's the true purpose of this accessory. You cannot possibly expect more from it. The maximum resolution of a photo is 640x480 (VGA, 16bit color), the video resolution is 320x240. There is no point in publishing samples — they are no different from pictures taken by other models with VGA cameras. Meticulous readers can make sure it's true here or here. The significant difference of Treo 650 from the previous model is Bluetooth support (Version 1.1, palmOne is not planning on Version 1.2 support). Implementation of the wireless interface is slightly curtailed. Treo 650 supports the following profiles: headset/hands-free, serial port profile for GPS and other devices, GOEP (generic object exchange protocol) to exchange business cards and contacts. Standard tools provide access to PC synchronization, hands-free and car audio connections. You can also enable the mobile phone disguise mode in the settings to provide access to dial-up networking. The module coped well with the declared functions. But the transmitter power/sensitivity of the Bluetooth-receiver is below average in Treo 650. Unlike the most Windows-powered handhelds, the signal from the palmOne communicator was lost already at 4-6 meters from the source. We have also encountered problems with sending contacts typed in Russian. Nothing helped Treo 650 to receive a business card with a family name in Russian. An attempt to send this contact via IrDA was a failure. We also didn't manage to copy the old address book from the SIM card into Treo 650. Another failure waited for us when we tried to use a program for Outlook 2003 synchronization. We had to use a workaround and export contacts into a file with separators and then import it into palm desktop. Going back to the interfaces, we should note the short IrDA range of Treo 650. The signal is lost at distances longer than a meter and a half. CIR is certainly out of the question. Compared to top models of Windows Mobile communicators, Treo 650 has nothing to boast of. No WiFi, mediocre Bluetooth and outdated IrDA don't do credit to palmOne. Try to put T-Mobile MDA III to your ear, when you talk in the street. You are guaranteed interested glances from passers-by. Try the same thing with Treo 650 — nobody will pay any attention. This communicator is noticeably larger than most modern handsets. But Treo 650 does not produce an alien impression due to its form factor. On the contrary, some users (including me) like to feel the speaker next to the ear and a microphone next to the mouth, instead of the eye level. If you feel embarrassed to raise such a large device to your head, we can recommend the bundled wire headset. But due to the lack of a voice dial utility, you cannot give up buttons completely. Wireless technology fans can buy a Bluetooth handsfree. But I prefer the good old tradition to raise a handset to the ear. It's not that large actually — several years ago most GSM devices were larger than Treo 650 in all dimensions. Besides, you need buttons to dial a number. Subjectively, the reception quality and the transmitter power of Treo 650 are higher than the average. 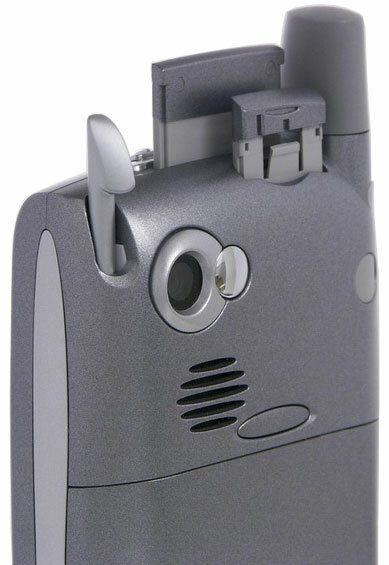 This communicator holds on to the network in places with the weak signal, where many mobile handsets loose the connection. That's probably due to the external antenna. A large speaker in the rear panel can be very loud. It won't be easy to miss a call even in a noisy environment. This very speaker also copes well with its second function — handsfree. It can easily insonify a room in a block of flats, but you'd better stand closer to the microphone if you want to be heard by your interlocutor. The vibra is not impressive, but it's no worse than in most modern handsets. Not all users know about the three reset types. The usual soft reset is done by pressing the reset button in the battery bay, or by removing and then reinstalling the battery. The data will not be lost — all the memory in Treo 650 is nonvolatile. This reset will not help remove a buggy program. The second option (warm reset) is intended to solve such problems. Press and hold the up button on the 4-way joystick when you soft reset the device. Release it, when the Palm logo appears on screen. The cruelest option (complete reset) is to press and hold the decline button and the up button on the joystick. When the Palm logo appears on screen, release at first the decline button and only then the joystick. After that you'll see a warning in several languages. Press the joystick upward, if you still want to do it. Remember that all your contacts, meetings, and other personal data will be removed during the complete reset. By the way, you can learn the reason of the last communicator's glitch by typing #*377 in the Phone application and pressing the Call button. Code #*786 will display communicator statistics. Interesting functions can be performed by the Power applet in preferences. Just draw a small clockwise circle in the bottom right corner. Repeat it to cancel the effect. Soon after the appearance of this communicator in the USA, Treo 650 was called the best smartphone ever in some media sources. Even the CDMA modification with some limitations (working only in Sprint networks, no dial-up networking via Bluetooth) got a very high mark. As Winnie-the-Pooh used to say, that buzzing-noise means something. With the appearance of a GSM modification, palmOne claims on the communicators market look very serious. A good set of functions, long battery life, and unsurpassed usability — these are the key trump cards of Treo 650. The weak sides of this device are the insufficient built-in memory, no WiFi, and a high price both for a handset and for a handheld. The last issue is not always the case, in many countries it can be bought with a service contract for peanuts. A cherished dream of many handheld users — be always online — has become a reality with Treo 650. Over 12 hours of battery life with enabled IM client... this feature alone can become a telling argument. 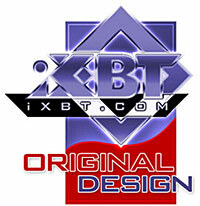 For its truly convenient and non-trivial design, palmOne Treo 650 gets the Original Design award from iXBT.com.